All I know is that without the EcDermaid capsules I would have no job...my hand eczema gets so bad that I can't do anything! Thank you so very much....my life is impossible without you! It was almost two years ago since my hand had flared up after just four bottles of EcDermaid. I had the infection for two and a half years and was miserable......I have and will continue to tell people about you because what I went through is unbearable so I like to help those who is going through the same thing. I hope I was able to download my pictures on here so far I've taken one bottle this time its so wonderful...thank you from the bottom of my heart for helping all of us who have this awful situation. For 2 years I suffered from Eczema terribly. What started as a small patch on my hand spread to my feet, both legs, and arms from elbow down. My feet became severely cracked making it PAINFUL to stand up let alone walk. Padding my feet with Vaseline and heavy socks just to tolerate each step became my daily routine. My legs looked like raw hamburger and the itching was UNBEARABLE.My hands were painful and writing became difficult. The peeling of my hands made me look like a freak and water stung the heck out of them as it did my feet just trying to shower.Sleeping was restless since I usually clawed at my feet and legs half the night. I was so miserable and thought I would never have normal skin again. Two dermatologists just told me to try to live with it best I could and gave me tar ointments and other creams. NOTHING worked! !One day searching for information I stumbled on MERRY CLINIC. Read all the information and years of reviews and thought I would try. WITHIN 2 WEEKS I noticed I had not itched and within a month dark red blotches became lighter and within 3 months I was TOTALLY CLEARED and my skin looks NORMAL and is just as smooth as it has always been. I Thank GOD I did NOT give up searching and am SO SO thankful I found MERRY CLINIC...I would encourage ANYONE to try this product.I will be a lifelong user!!! My name is Gina. I have hand and feet eczema. I've been burdened with it for over 20 years now.The hardening of my skin. The intense itching, burning, peeling and tearing is constant even when i sleep.I have been to many dermatologists all of them gave me a steroid shot and prescribed some kind or other creams or ointments.That doesn't do much long term good.I ran across the Merry Clinic web site looking for alternative solutions. I decided to take a chance- normally i'm very skeptical. I ordered the EcDermaid capsules- only 1 bottle just to see any kind of result. decided before i ran out to get another bottle along with the skin detox. I started the 1st bottle on June 12th and the skin detox on June 19th. today is June 27th. My hands and feet are almost completely cleared up except for peeling . 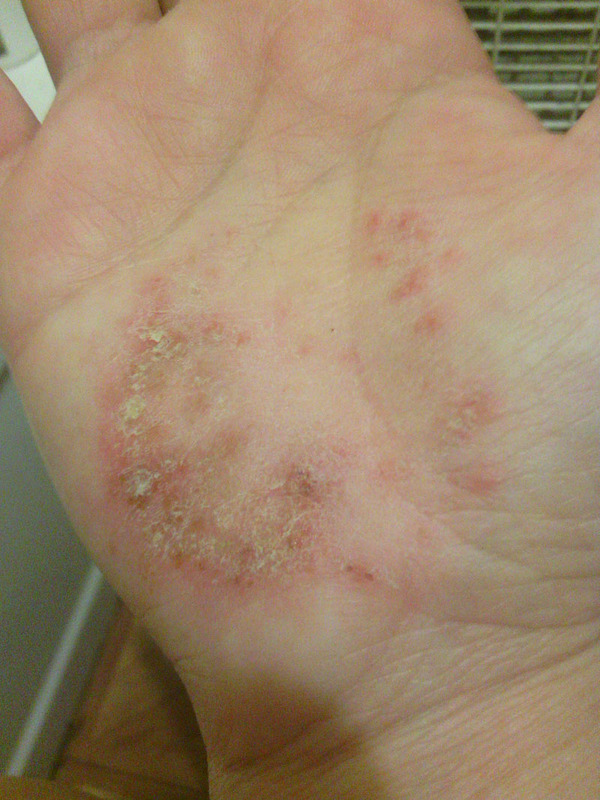 The Inflamation has gone down so much the hands are peeling and healing. My Son skin was so bad he itch and tich to the point he tworn the top layer of his skin off... Just using Dermancalm syrup for a week and the spray... He has been sratching less and skin feeling alot smoother.. I'm so happy and can't wait to be using it longer for better and great result. God is Good there something out there to help my baby and this stuff is it!!!!! I am a 51 year old woman.. Never had any issues with my skin until about 2 years ago...It started on my fingers moved all over my hands then to my face.. I was diagnosed with Dyshidrotic eczema....after months of steroid creams and no relief from the itching peeling skin and swelling... I started looking for alternative medication.. I ran across Merry Clinic web site did a little research and tried it... After a wee or the EcDermaid capsules things started to clear up... Now I am on my third round think this will be the last.. Took the Skin Detox for 4 months as well... I am really happy hope it never comes back.... Thanks Dr Li.. I was diagnosed with eczema on my hands and legs. I suffered major itching an discomfort from this. My skin became so sensitive that at night when I slept the sheets would set off the itching. I did not want to go back on steroids from my doctor so I reached out to the internet for a healthier solution. I started with the EcDermaid, SkinDetox, and the face and body Spray. WOW! my itching after 3 days decreased 90%, I continue to use the spray for any minor itching. The eczema on the legs and foot have totally cleared up within 1 month. MY hands are so much better not totally clear but I would guess 95%. I am so happy I found the Merry Clinic! I came down with eczema in August 2014. I've never had any type of allergy or skin problems, so at age 59 this was quite a surprise. I tried the prescribed steroid crme, the baths, the lotions, fragrance free soap and laundry detergent, changes in diet. Any metal fastener on my clothing caused itch and irritation, so I'd come home, get "comfortable" and not leave the house. I love summer and sunshine, but stayed inside in the cool because the heat aggravated my skin. I was constantly aware of my skin as I tried my best to "embrace the itch". I slept with ice packs to relieve some of the itch. I cut my nails as short as possible so I wouldn't be able to scratch, but still my skin began to bleed. I read testimonials about steroid treatments and the long term effect it could have. There had to be some way to control this! On one of my internet searches I found the Merry Clinic and had an online consultation with Dr. Li. I ordered the Ecdermaid capsules, Skin Detox, and Ecdermaid spray. After a week and half, I realized one day that I wasn't thinking about my skin and that awful itch! After 2 weeks, I only had small patches on my forearms that occasionally itched. I was amazed at how quickly this provided relief...and with NO side effects. Thank you, Dr Li for this natural product and the quick relief it provided! I highly recommend this to anyone suffering from eczema. My grandson Ryan who is now 6 years old had severe eczema to the point where he had to go to the emergency room to get steroid shots. Nothing seemed to help him over the counter nor anything prescibed by the doctor. My daughter was always upset and ofcourse ached for her son who was constantly suffering. I am a strong believer in herbal remedies and I found the Merry Clinic web site. I ordered the capsules, shampoo, bath soaking powder, and topical cream. Ryan has not been to the doctor once since he has been on the Merry Clinic products! He calls it his Mimi medicine (after grandma)!! This has been for 2 years now! I'm so happy that he is not suffering anymore! God bless you Merry Clinic for your wonderful products! I became afflicted with very severe eczema rashes on my back, arms, hand, legs and torso at the age of 69. The ER Doctor and my Dermatologist would only prescribe pharmaceutical drugs and ointments to relieve the symptoms. I was looking for a drug-free, pharmaceutical-free alternative that could heal me as well as relieve my eczema symptoms. Three months of using Dr. Merry Li's herbal and naturopathic formulas actually work and have brought me much relief and healing. I am so grateful to have found Dr. Li prescribing herbals and naturopathic medicines that heal me of eczema. Thank you Dr. Li. I was growing weary with using steroids on my seven year old. I just felt they were making his eczema worse and it had to be a solution. I googled "cure for eczema" and found merry clinic. I am so blessed to have found a all natural product that won't harm my son. In weeks I could see a difference and finally I am hopeful. Anyone who has experienced dealing with eczema will understand how frustrating it is to find something that works. I thank GOd for you doctor! Hi Dr. Merry Li, I just want to thank you so very much for helping my daughter with her eczema Problems. She is doing so well! It is amazing! In the second Container of EcDermaid,her skin is almost normal. She is taking it every day,we are both very happy! with this natural medicine, she was suffering to much!We did not know what to do. Until last week her her neck and shoulders looked so bad.But now thanks to God and you she is doing very well! I would like to know if, if is possible for how long she has to take the EcDermaid? Thanks again. May God bless you and your wonderful work in helping others! My baby have severe eczema since she was two months old. It was so bad to the point I had to stayed up all night long watching her, afraid that she'll scratch her face and bleed. I can't stand to see her suffered so I was always online trying to find a cure. Finally, I found MerryClinic.com. I immediately email Dr. Merry with pictures and describe my daughters conditions and took it from there. After two months of treatment with Kids Dermcalm, she's now 70% better. My child is 3 years old and we had tried everything we could think of to help keep her Eczema under control. When i heard about Merry Clinic has something made just for kids to help it. I logged in and placed my order. My childs skin has cleared up, looks great, and is really soft. She no longer has to put steriods on to keep it under control.I would recommend this to all parents that their clild has Eczema. It does really work. I suffered from seborrheic dermatitis on my face for about 30 years. 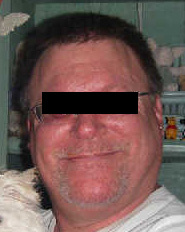 I was seen by dermatologists throughout the years and was told that there was no cure and that they could only treat the symptoms with steroid or antifungal creams. Even with these treatment, my symptoms persisted. Finally, I discovered Dr. Li's website and tried Ecdermaid capsules. I noticed improvement within the first few weeks and continued to take the herbs for a total of 6 months at which time my skin was completely clear. This was several years ago, and the condition has never returned. Thank you Dr. Li for curing my seborrheic dermatitis with your amazing products. I have been suffering with eczema for 12 years surfing the web i came up to merry clinic got me a bottle of EcDermaid 4000 mg 150 capsules for eczema followed instruction on the bottle. After 1 week not much relief. The 2nd week the itching was going away. The 3rd week my arms and other parts of my body were healing. 4th week it was all cleared up. What a great product will still have to take it for a while.but for the small amount of money for the product it is worth it.Thank You Merry Clinic. My daughter had Eczema since she was baby. I have tried almost every available cream and medicine for her but it never went away completely. Sometimes it was better sometimes it was worse. One day I saw merry clinic's advert on website for Eczema. I decided to have a try for my daughter. After two months taking the EcDermaid Capsule, I can tell it has improved a lot. I will definitely recommend this medicine. I grow up in China and I alway have faith in Chinese medicine. Both of my boys has had issues with eczema. I reached out to Dr. Merry Li of the Merry Clinic regarding her recommendations for them. In less than 24 hours I received a response with a recommended regimen and I have to tell you that it has helped tremendously. No longer were they itching like they used to and the dry areas on their skin cleared up. I would definitely recommend these products for use with your child's eczema. Thank you Merry Clinic. I purchased two bottles of EcDermaid capsule with the body spray and saw definite improvement in my moderate condition. The breakouts (red patches on my back, arms, and thighs) diminished to almost nothing. The darker dry patches from previous outbreaks got lighter and smoother. I also was mindful of not eating anything that can contribute to flares and understand that diet must be consistently managed. I found it easiest to take the first dose in the morning before work and the last dose in the evening. I am purchasing a second round to reinforce the progress. In my opinion, Dr. Li's natural remedy is so much more effective than the steroid creams and oils. My experience with topical treatments is the breakouts would return as soon as I stopped using them. I prefer natural supplements and do not regret the investment in Merry Clinic products! I am a 1st time user of this product for my eczema. And it WORKS my skin is clearing up, I had severe case of eczema and within the 1st week it was getting better. I am a truly satisfied customer and will continue to use Merry Clinic products. Thank you. For four years I have had dyshidrotic eczema and could not get ANY relief except when I could get a shot of prednisone or the pills. We all know that you can't continue with that bad stuff! Anyway, I followed every lead I could find. I went to two dermatologists from St. Louis. One put me on Collect ( I believe that was for transplants, which I had none) and after 6 months or so, I saw another dr. who put me on soritiane. This medication has horrible side affects. Anyone that has been on it knows this. I was on this for a year, still, my hands would split open, my poor feet split with cracks sometimes an inch long. I hated to stand up knowing that they would crack even more. Needless to say I walked on band aids with Vaseline. I think I should own the bandaid company. Finally, I decided not to take the soritiane any longer. Looked on the Internet for ANYONE that had delt with this stuff that maybe had an answer. This is how I found DR. LI and MERRY CLINIC. I emailed her telling her how sceptical about this treatment. I even sent her pictures of how bad my feet were. She thought the treatment could help. You know what??? She was absolutely right!! I am not totally clear yet but well on the way! If anyone out there reads this and has this eczema, PLEASE, PLEASE give this a try. My husband and I are amazed what this has done. I am doing so well that I am canning tomatoes without using gloves and my hands are fine. THANK YOU DR LI!! My daughter is six years old. My little girl had been going through torture five years plus. Her skin used to itch and bleed and I would always promise relief. She would scream as if something was biting her skin and say "nothing will ever make t better" It broke my heart we tried everything, everything!!! We even tried homeopathy, with no success. We were going to try accupunture but my schedule would not allow it. I luckily came upon the Merry Clinic. We have been giving my little girl dermacalm for the pass six months or so, it is all cleared up. She no longer screams or remembers the eczema. I will continue this product for another two years or so. I had a severe case of eczema on both arms & after taking these products for a couple of months, it cleared up. Healing truly does occur from the inside out. Thx. for your help. Hello I am a 60 year old man. I first encountered eczema when I entered my 40's i didn't know what it was at first so I was just using all these creams to combat it, even medications with hormones for years. One day I was online looking for something and it dawned on me to check for a cure online then I found Merry Clinic....THANK GOD for Merry Clinic, my symptoms began to disappear in just 2 months now I will not stop using this wonderful product. Thank You Merry Clinic..
My Excema developed out of the blue about 9 months ago on the back of my hands, wrist and elbows. After getting useless creams and ointments from a dermatologist and my regular doctor, I was at a loss of what to do. Praise God I came across your website while searching for help on line. I took a chance and ordered the pills. After only 2 weeks of taking the Ecdermaid pills my skin is clearing up, the itching is gone, and the normal pink color is returning. What a blessing. Thank you!!! Our prayers have been answered through god's grace we were directed to this website and for the first time in months our baby had a sound sleep without waking to scratch. I used Ecdermaid since I am exclusively nursing and we also gave our 10 month old son kids dermacalm. We also used the ecdermaid herbal spray. I gave birth to my first child and developed my eczema, with all the bottle washing my hands were so dry they were painful and cracking. After much frustration and research, I came across the website for the Merry Clinic. I read the success stories and the idea behind eczema being from the inside out. I ordered the ecdermaid pills and saw relief in the first, as well as followed the recommendations for diet changes I feel that this the only thing that has helped. Doctors keep recommending creams with no long term relief. Thank you merry clinic for giving me relief and allowing me to use my hands again. Hi, Dr Li, I'm so thankfull that I find this wonderfull products that you offer for people who like me who suffer atopic dermatitis on my hands.I've had it for more than five years, I feel much more relieved. Now I am into my second month and I feel much better, not cured but way better, I thank God, that I have a possible solution to my problem. Im sooo happy. I totally recomend these products. I ordered the syrup for eczuma Mid December 2012 for my 2 year old Grandson and sent my daughter the advice of watching his diet as well and she just wrote me 2/1/2013 and said that 90% of the eczuma is gone in just under 3 weeks time and the syrup works way better than any creams her doctor has prescribed in the past. I will continue to buy this for him as long as needed and will definately network with the intention of letting everyone i know about your products. Thank You. I am 63 yrs old, and have had eczema all of my life,with varying degrees of severity. It has been terrible at times, very embarrassing and uncomfortable. After taking the (2) herbal supplements for 6 weeks, I am not itching and my skin is healing. It's almost too good to be true. I am very grateful for these products.. Thank You! My 7 years old son has eczema since he was 3 months old. One day, I was searching for natural remedies for eczema and came across this web site and Read some promising results!! Hoped and prayed that this would help my son, too. Ordered it, now after a month of taking the EcDermaid capsules, using the EcDermaid body and face spray and using the soap. Have seen remarkable results. Getting ready order some more capsules!! My son's skin is looking better, have noticed decreased itching during the day and night! Will keep using until it all goes away. Highly recommended!!! Thank you Dr. Li for treating my 7-month old daughter. She used the eczema spray for one week and her skin began to heal immediately! Her skin is now smooth and under control. She also uses the mineral soap and her redness is minimized. Thank you Dr. Li again! well, ecdermaid cured my hand, but now my son has what I had so I'm going to be getting him the same thing. I was really sad to see that he got it, but thank the Lord I found Merry Clinic because I know how to get rid of that bad infection. When I see other people suffering like me I never hesitate to give them the website. I actually ran to a lady one day in the streets with a similar infection and gave her the website. I will be getting some pictures on here as soon as I can. thank you so much I had my infection two years before I took the ecdermaid. I suddenly developed eczema 3 weeks ago and it is one of the worst skin problems I've ever had. I tried the obligatory hydrocortisone creams and Benadryl with little effect. I couldn't sleep and my skin became so ugly, red, inflamed, bruised and sore from scratching. I spent my sleepless nights researching this ailment and came upon Dr. Merry Li's site and read the testimonials. I requested an online consultation and sent pictures to Dr. Li. She responded so quickly and confirmed it to be eczema. I immediately ordered the herbal supplements, cream and spray. It's been over a week now and I have seen improvement to the redness and exacerbations. I'm itching a bit less with the creams and spray helping. I know it will take a few months for significant improvement and am looking forward to that and also being able to wear short sleeves again! I HAVE HAD DERMATITIS ON MY HANDS &FEET FOR 5 YEARS. I USE ALL TYPES OF CREAMS OINTMENTS ETC. I NEVER USE ANYTHING NATURAL & HERBAL. I FOUND MERRY CLINIC AND ORDER THERE NATURAL & HERBAL PRODUCTS FOR THREE WEEK SUPPLY AND I CAN SEE THE DIFFERENT IT'S CLEAR UP MY OPEN WOUNDS, HEELED MY SKIN FROM FEELING DRY MORE SOFT. NO MORE ITCHES AND NOT AS RED THE BEFORE. I'AM SO GRATEFUL FOR DR.MERRY LI & YOUR PRODUCTS. I have a 7 years old boy who has been struggling with Atopic Dermatitis for three years. During his sleeps he continuously scratching his body. One week after he started taking EcDermaid Capsule he stopped scratching. And, when he finished a bottle of EcDermaid Capsule, his skin condition became much better. It really works for my son. I am so grateful for Dr. Merry's eczema products! I highly recommend the Kid's DermaCalm and the EcDermaid Body & Face Spray to mothers looking for a natural remedy for infant/kids eczema. I tried all that was recommended by my friends...these creams, lotions, and baths that worked for the kids in their lives. Unfortunately, they all did not work on my daughter. Her symptoms started when she was four weeks old. Her pediatrician prescribed the customary steroid cream. I held out on using it until my daughter was eight weeks old. After about a week, her skin was nice and clear so I stopped and as a results, her symptoms returned. I refused to keep applying that the steroid cream since I thought it was not good for her liver. I continued to try everything else but her eczema was getting worse to the point where it was weeping open wounds and she was scratching constantly. At her 6-month check up, doctor advised that the only thing that will work is the steroid cream. I thought otherwise... there had to be something natural that would work. I applied the antibiotic cream and she took oral antibiotic which was necessary since the wounds were infected. I filled the steroid cream prescription again but still have it unopened in a drawer somewhere. When summer rolled around that is when I decided to take another look online in my search for eczema treatment and that is when I found Dr. Merry's eczema treatment for kids! I did not know if it would work but I was willing to try it. By taking a look at all the testimonials, i got the feeling that it seemed to work for many people and it may work for my infant who was 7 months at the time. I was a bit concerned that the Kid's DermaCalm was taken orally but still tried it. Started her on .75 ml. She's always been average in weight and height. The spray was beneficial as it dried up the open wounds and aided in the healing of them. I have gotten another set to continue to manage her eczema symptoms. Her worst areas are healed up. She has occasional flare ups but as I continue her natural treatment a couple times a day, everyday, she looks great and she's itching a whole lot less. I have been getting so many compliments on her complexion these days as all who have seen her in the past have seen her as "poor thing." But these days, the redness on her face, creases of arms and legs are cleared up thanks to the Merry Clinic--what a God-send! In a nutshell, I HIGHLY RECOMMENDED THE KID'S DERMACALM AND THE ECDERMAID BODY & FACE SPRAY TO MOTHERS LOOKING FOR A HEALTHY NATURAL TREATMENT THAT WORKS ON INFANT/KIDS ECZEMA. Can you tell that I love this product?!?! I am so grateful to have found it when I did. Had I not found this wonderful product that works, I would still be stressing about my infant's eczema, wasting money on everything else that in the end, did not work. Thank you, Dr. Merry! I am considering the other products as well...acne, hair loss, and women's health. Natural remedies are the only way to go in this day and age of pharmaceuticals (yikes!) That's a whole another long story. As I read the testimonials on the Merry Clinic website, I found my story to be the same; steroid shot, steroid cream, Methylpred 4mg pak (twice)and an unlimited prescription for Hydroxy-zine. The first time I took the "pak", it disappeared for almost 3 weeks and then came back with a vengeance! My legs, arms, back, stomach, buttocks, (you get the picture) . Got a refill which barely touched it. I then started research on the internet and found the Merry Clinic. In one week on the EcDermaid capsules, I sent a e-mail to see if I should be doing more. I then adhered to the dietary suggestions and within 2 days, it began to fade... within 2 weeks, it had almost completely gone. I will continue the recommendation of 4 more weeks with a decreased amount and then will use the skin detox. I thank God for the Merry Clinic and it's products! To all the staff at Merry Clinic, I just want to thank you for having a product that works for me. Having Eczema for me has been very painful and upsetting to me. I tried everything but nothing worked for me until one day I came across the Merry Clinic treatment web site and I order the package. In a few weeks I felt a change in my skin, my eating is better too, I don't itch like I used to, in my sleeping. Thanks again Merry Clinic. I've had problems with eczema on and off for about 5 years now. I've been through SO MANY products trying to control my symptoms with no success and lately it has just been totally uncontrollable and would not stop spreading and itching! If you have had eczema you know how irritating and even depressing this can be. But anyway I was searching online and found what I had been searching for so long and thought I should give it a shot(I bought the EcDermaid). After just a little over a week of use, the itching is gone already! I would recommend these products to everyone. I had eczema all winter and the doctor kept prescribing me different creams, but they didn't work. I finally started looking online for help with it and I found the Merry Clinic. I took the EcDermaid tablets and Skin Detox pills and it worked! Skin cleared up! I couldn't sleep at night, I was itching all the time! I have had eczema on my fingers off and on for over 30 years. Recently, for unknown reasons, it took a turn for the worse. My fingers were cracking and bleeding to the point of discomfort not to mention their appearance. I was not having much luck with the prescription steroid cream I used to use when they got bad and I didn't want to go to any stronger steroids as I always felt it was not a cure for the problem. I was slathering heavy creams and wearing gloves to bed to no avail. Finally, in desperation, I started looking on the internet for possible natural solutions and I found the Merry Clinic site. Dr. Li responded quickly to my questions and I decided to try her recommendations. I am so happy and excited to report that my eczema is virtually gone after five weeks! Thank you Dr. Li; I am so grateful for your help. I was looking for a dermatitis cure for my friend. He has taken the EcDermaid formula with great results. No more constant itching and sleepless nights. He seems to tolerate foods better now. He is allergic to gluten. But his skin is now very clear and he looks younger and more relaxed. He has been on the formula for about 3 months. My 14 year old son has suffered with itchy, scaly and bleeding eczema on his legs for about four years. After numerous over the counter topical products, which did not work, I went to the dermatologist. He has been on antibiotics and prescription topical several times. The symptoms would briefly go away, but would always return. He has been on the EcDermaid Supplement for about 1 1/2 months and his skin is almost completely cleared up. The itchy feeling went away within the first week and has not recurred. He no longer scratches his skin while sleeping. In addition, he has used the dead sea bath salt as well as the cream and spray. These products aid in making his skin more comfortable and less itchy. We are so thankful to finally find relief in such wonderful products. I especially appreciate that the EcDermaid supplement works by healing from the inside to get to the root of the problem. These products are well worth the price!!! My 10 month old daughter started an outbreak of eczema which worsened. I've tried so many things but nothing has compared to the treatment Dr.Li recommended. I'm currently following her exact routine recommended and I'm seeing great results 6 weeks into treatment and even if she's not completely healed yet but I'm seeing drastic results in her skin appearance(It was soooo bad) Her scalp and face is completely healed and her back also the only places still clearing up are her hands and feet which is almost gone. I know once we take her off that Gerber good start formula she'll do even better. Thanks Dr.Li..I'm giving every mother I come across your website Info. You are a God sent. Thanks from the bottom of my heart. Both my children have suffered from eczema since they were born. My son is 10 and has really bad dry scally skin, my daughter is 12 and suffers from oozing exzema, cuts and constantly bleeding .I have had them on ecdermaid for 1 month and a half. My son continues to itch but his skin has dramatically gotten better, although he still itches , i continue to believe in the product only because i see the difference on his skin. My daughter almost immediately stopped itching, causing her skin to calm down and allowing healing to start. Having both my kids on this, has come out quite expensive, and very difficult to keep up with financially , but I continue to believe in it. At this point I\'d figure I have nothing to lose. I have tried everything from topical creams, steroids, antibiotics, everything. so far this seemed to be the only thing that I actually see an improvement. Just pray once I stop it does not come back. Only because I cannot have them on this forever. It\'s becoming real costly. Still skeptical with that. I also noticed an extreme change for the better on both my children after spending a day at the beach, which is now why I also purchase the dead sea salt, which I am extremely happy about. I try to do it twice a week. After the dead sea salt bath, the itching literally stops, which is the greatest relief for both them and I.
I have eczema for over ten years. I took many pills, Chinese medicine, and creams, and none of them worked well. I had to stay at home and rest for a quite while to make skins calm down. Around five years ago, after I gave birth to my first baby, eczema came back badly. Then I found Merry Clinic online, emailed Dr. Li and asked questions. Based on the advice, I bought eczema pills and the skin detox products on a regular basis. After about half a year, eczema was gone and my skin was very smooth. But I still kept taking pills for another one and a half year. My skin was very smooth during that time. I stopped taking merry clinic products because I was pregnant again and have to stop taking any medicine. Thanks for the first couple year\'s eczema pill provided by merry clinic, I only had small eczema symptom on my fingers during my second pregnancy. (In my first pregnancy, however, I had very bad eczema but I could not take any medicine because of the baby. )Thank you merry clinic for helping me and my baby! I received EcDermaid on Monday Feb.13.2012 today is Thursday Feb.16.2012. My hands and feet have improved 95% in just 4 days!!!! I'm so pleased. My hands were cracked and swollen, one of my nail beds was rippled and this had been going on since early December. I have seen doctors, specialists, I have tried every cream. I drank apple cider vinegar, done liver cleanses, colon cleanses, and heavy metal cleanses through all of this my condition would return, I have never had anything that took away the itch, pain and unsightly rashes like this product. I will continue to purchase this product and others. Thank you so much for the relief you have given me from this condition. I have suffered with red, itchy, and at times even oozing eczema rashes on my arms, legs, and trunk for over 3 years and have tried doctors' steroid creams and shots, but the rashes continued to surface over and over. I looked for a natural treatment for eczema and stumbled on the Merry Clinic website. After a few days, I began to notice my itching had finally subsided and I was able to sleep without any intense scratching. I was totally amazed that this worked so fast. It made perfect sense to cleanse the toxins from my body, but I was a little skeptical until I saw this amazing relief. I continued using it for about a month and the eczema cleared up, but failed to continue the Detox capsules. The eczema returned after eating the wrong foods and I am again back to the EcDermaid capsules for relief. This time, after the eczema disappears, I will be SURE to follow up with the Detox capsules to keep it from recurring! You just can't believe how fast this formula works until you try it. I have told my friends how wonderful this EcDermaid is and now there is NO reason that anyone should suffer with eczema!!! Thank you and God bless you, Dr. Li for your hard work and research in this field. I'll get right to the point, My hands were the absolute worst about a week ago--after numerous antibiotics and steroids that did not work i found the merry clinic and started soaking my hands as Dr. Li instructed for 20 minutes a day using her herbal soak! The very 1st day I saw results-a few of my cuts closed up and although my hands are not cured all the way I can already see new skin forming and I can hold my steering wheel again and make a fist --which I could not do before using the soak--- I am waiting on my pills and I also ordered the dead sea soap---I soak for 20 min at night then put on cream and cotton gloves to sleep in and the results are nothing short of a miracle thanks Dr. Li. I'm not 100% yet but I know I will be very soon. love u! I've had eczema on my hands for 2-1/2 years. Nothing has helped. I have extreme dryness to the point that my skin cracks and splits open; it's like having "paper cuts" on all of my fingers. I've consulted with a dermatologist, an herbalist, a homeopath, an acupuncture physician and a naturopath. I've spent tons of money on all the products they recommended, besides all the over-the-counter products that I've purchased on my own. After two months of using Dr. Li's products (McDermaid and Detox), I've had a considerable decrease in the breaks/cuts on my skin and no longer have four or five band- aids on each hand. The extreme dryness has also decreased. My skin is getting better and better, and I'm convinced that these products are the answer. Finally, I'm starting to heal! I've really bad eczema since I'm a kid and I have seen doctor who told me that even it's cure now but the symptom will still comes back. Which makes me gave up with my skin until I found Merry Clinic these past months and I tried the medicine. I have to say it really works. I had 2 bottles of the medicines and it last only 18 days and I haven't take any medicine for like almost a month and the itch got back to me.. So I'm going to continue to eat for another 2 months to see if the symptom will go away. Hi-I have had dermatitis since 1991. When I first started breaking out, my dermatologist gave me antibiotics and topical creams. I would break out about once every couple of years and then over time, my breakouts seem to become more frequent and each time, I was given antibiotics and topical creams. About a few years ago, the breakouts started to occur every couple of months until this year, as soon as I would go off the antibiotic, within a few weeks, I would break out again. I had been researching this skin disorder for years and have tried everything from aloe vera, to yogurt masks, to apple cider vinegar. Those seemed to help but I could never get the dermatitis to go away completely by using those remedies alone. I was getting to the point where I was going to give up my research on this topic, as I had run out options. A few weeks ago, I came across Dr. Li's Web site during my research and thought that I had nothing to lose by trying one more thing. So, I ordered the EcDermaid capsules and the skin detox herbs and within a week, the rash on my face was 80% better. I am near the end of week two and my face is now 90% better. This is the first time in 20 years I have ever gotten rid of the inflammation without using antibiotics. I am so convinced that by staying on these products, I may never have to worry about this condition again, I ordered the Acneed program for my teenage son. I have been giving him the detox herbs for now until his order arrives but I feel confident it will work on his acne. I will write another testimonial once I see how he does on his program. Thank you Dr. Li for your wonderful products and the time and research you have done to help all of us with these horrible skin disorders. The world needs more people like you who believe in natural remedies. I have had face eczema for about 2 years and I used many different things to treat my face eczema and nothing helped. Sometimes it got worse. But Merry Clinic products are working so great for me! After using the ecdermaid products and skin detox formula, my face getting better and better! Less and less itching, pimples. Now it is 58 days after i used the products. I can clearly see the difference. Thanks a lot Merry Clinic. I will keep using Merry Clinic product until my face is clear of eczema. If you have tried other ideas with no help or is looking for first thing to try, please give Merry Clinic a shot as it worked for me without a doubt! My daughter was diagnosed with severe Atopic Dermatitis at eighteen months old. For the past seven years she has suffered from severe redness, and itching on her arms, legs, face and neck. She had a hard time sleeping at night due to excessive itching and most mornings would wake up with her skin cracked, bleeding and weeping clear fluid. She has been treated by two different Dermatologist and Allergist and has tried several medications and topical ointments over the years. We were referred to a Pediatric Dermatologist who again prescribed more medications and ointments. We have always been told that they could only treat the symptoms and that there was no cure for her condition. Nothing helped her and I felt so helpless that I couldn't do anything to relieve my daughter's pain. I was searching the web and found your clinic. I spoke to a reprehensive from the clinic and to Dr. Li via e-mail. Everything sounded wonderful but I have to admit that I was skeptical. My husband and I decided to give it a try. We stopped all her prescribed medications and ointments and started using what Dr. Li recommended in March 2011. Dr. Li told us that it could take up to three months for the products to work because her case was so severe. However, we seen a noticeable difference in her skin and itching in less than a week. By summer we had family and friends telling us how wonderful her skin looked and wanting to know what we were doing for her. We are truly amazed at the difference the products have made in her life. I feel blessed to have found the Merry Clinic! She tells me all the time, "Mommy feel how soft my skin is!" Her self confidence has improved and she can now wear a sleeveless shirt without feeling embarrassed. I urge anyone to give these products a try. I believe in them, I know they work and I highly recommend them! They were the answer to my prayers! Thank you again Dr. Li for these AMAZING products! I have been suffering from atopic dermatitis for about 5 years now. I have tried so many different products over the years. I came across this web site about a month ago. It have been taking the capsules for about three weeks now and my itching is getting less severe. I usually have to sleep with ice packs on my arm to stop the itching. Last night was the first time in two months that I did not have to do this. I am ordering my my second bottle today. I had a rash that last it almost 4 weeks not doctor could figure out what I had, the rash keep spreading and looking at this point very ugly as well as the itchiness!! I came across with this website and send my pic to Dr. Li she recommend me to start treatment with ezcema pil I did it and in 4 days my skin was complete clear!!! Thank you!!! Dear Dr. Li, It has been 3 years since my first email sent to you. I always want to write something to you but just don't have spare time. This week I just got my orders from your clinic again and made up my mind to write this email to you. I just want to say "thank you so much"! My son and me had got great benefits from your products. He used children eczema syrup3 years ago when he was just half year old. After 2 months his eczema totally gone. Since then he never had any rashes covered his cheeks. I used Ecdemaid spray if he had some small rash dot. Now he is 3.5 years old and his face is soft and very clean. I also ordered some products such as Acne cream for myself. I think I will continue using this cream as it does work on my problem. I am so lucky to find your products and I hope your business will continue growing. Dear Dr Li; We are so happy to say that our 10 1/2 month old son is eczema free! We started him on Kids DermaCalm March 1 and it is now July4 and he has not had much problem with eczema for at least 6 weeks. We also used EcDermaid spray and gave Dead Sea Salt baths among other natural products. He was in pretty bad shape when we started it for him with allergies making it much worse, he was very red, very itchy, and oozing in a few spots on his cheeks. He had eczema on his face, scalp, tummy, arms and legs! We still give it to him to prevent eczema and also to boost his immune system. His allergies are about 90% better with other things we are also giving him. We are SO SO grateful, and so happy to write a success story! Thank you God! Thank you Dr Li!! My dad has had severe eczema for years. Multiple dermatologists and multiple steroid creams later, he was still miserable. He could not even wear clothes for any length of time for years. I did some research on the internet and came across the Merry Clinic website. I ordered what the doctor recommended and a few months later....NO ECZEMA! my dad and i are both in shock! its great!!!! I am completely amazed and thrilled at the results I have had for my eczema/dermatitis after using Skin Detox Formula, EcDermaid capsules and Ecdermaid Cream. I have suffered from various forms of dermatitis since childhood - especially on my hands. Tomorrow is my 61st birthday and I can honestly say my skin has never been softer and smoother - I am even seeing new pink skin where dry,leathery patches used to be. A miracle! I can finally sleep through the night without scratching! Thank you, thank you, thank you! I have been with severe seborrheic Dermatitis since I was 19. I am now 47. I have had flaking,bleeding,redness,and many other painful and ugly things happen to my face,scalp and other parts of my body. I have seen dermatologists for many years with some success. I have been on pills and some more more dangerous treatments. All with moderate results. I found Merry Clinic almost 2 years ago, and after trying the dermatitis pills, I have been about 98% clear and free of redness and bleeding flaking skin since starting EcDermaid supplements. Thank you Merry Clinic for offering relief to me. Before EcDermaid I was constantly itchy. I couldn't stand it and tried everything form OTC to Rx and could never find anything that truly helped. Ointments would help temporarily, but nothing ever stopped the itchiness. It wasn't overnight, but after about 3 weeks I could tell that EcDermaid was helping. I could even eat the foods that I love, with no adverse reaction! Sold! My 9 year old grandson for years has had very bad eczema. The pediatricians and dermatologists would only provide temporary relief. I searched for an answer and came across the Merry Clinic website. I ordered the EcDermaid capsules, hand/foot cream and the body spray. He has only been using the products for two weeks but they have worked wonders. Since it is a herbal eczema treatment I feel very safe for him to use it and will continue to buy these wonderful products. He is very happy with the results and is not as embarassed with his condition. Thank You! I just wanted to Thank your clinic and your product so much! the body cream for Eczema is amazing! I've been using it for a week or so now, within 2 days, my skin started to heal and i saw a new skin coming out. i use this cream for my face, neck, arms, legs under armpit area... itchiness stops within a minute and feel comfortable. i have to apply it at least 4 times a day so i need to order more, but the feeling of this soothing cream is nothing i can compare to any other products i have tried. I am going to see how my skin is going to improve with EcDermaid Capsule and Skin Detox Formula from Merry Clinic for a month or so. I'm already excited about to see the result. thank you so much! I had Eczema problems for 25 to 30 years already, many trips to dermatologists office for treatment. I used cream and long term medication (Hydroxyzine HCL) and stop eating so many foods that the doctor told me to do for help, but the results came out worse and worse. Finally, I found the product on your web site and order 3 bottles to see if it worked. After three weeks tries my Eczema condition improved 70-80% than before. I will continue to using the pills until my Eczema fully recover. I definitely recommend to anyone who suffering for Eczema can use Ecdermaid for treatment. Thank you!!! I am very pleased with the Ecdermaid supplements and the spray. I was suffering for months with breakouts on my legs and arms.I went to the dermatolgists and they prescribed creams and ointments but the rash seemed to be spreading. I was very discouraged until I came across the merry clinic website. I had extreme itching with the scars oozing and hurting. I had many sleepless nights. When I received my supplements and spray, I used them immediately and had my first good nite sleep. I saw improvement within the first week. All of the itching has stopped and I am seeing the scars getting lighter. I am also using the Ecdermaid spray on my face and I am getting compliments saying that my skin looks moist and firmer. I am so pleased. I am definitely impressed with the speedy delivery and excellent customer service. I feel so disappointed that I seen 3 doctors including the dematologists,they give me steroid shots,pills and steriod creams to stop the itching,but it only works temporarily, I couldn\'t sleep at night,scratch all over my body,I was wondering if I have to suffering for the rest of my life like this, so I start to search if any herbs can really cure this problem, I found Merry Li\'s web site and order couple bottles of Ecdermaid capsule to try, after a week or so, I can tell the difference,I feel much relief from the scratch, another week, my scars can easily came off, my chronic red bumps are starting disappear,now 5 weeks after, the deepen color spot on my skin ( cause by the steriod cream) starting to get back to the noraml skin color, I expecting I can go back to swim and wearing shorts on this summer. Thank you for the ECDERMAID CAPSULE. WELL, AFTER BEING TOLD BY FOUR DOCTORS THAT I COULD'NT GET BETTER I FEEL GREAT! MY HANDS HAVE CLEARED UP AND MY ARM HAS TOO. I THINK WITH ONE MORE BOTTLE OF ECDERMAID I SHOULD BE COMPLETLY CURED!.O ONE DOCTOR TOLD ME IT WAS A COINCIDENCE THAT I GOT BETTER.IT MAKES ME SAD TO THINK HOW MANY MORE PEOPLE COULD GET BETTER THAT AREN'T GETTING HELP.I'M TELLING EVERYONE ABOUT THIS PRODUCT!THANK YOU AGAIN. After several months of dry weather and stress, I broke out in an extreme case of Atopic Dermatitis. It was very uncomfortable and was driving me crazy. I went to an Urgent Care and they gave me a steriod shot, which did nothing. After some research, I ordered EcDermaid and after 7 days, the rash is virtually gone and I feel so much better. Thank you Dr. Li - your product is wonderful:) Tina H.